Dawn is also a great chef producing wonderful meals even for those of us with food allergies or intolerances. On the Saturday evening we and two others, Kate and Peter, were treated to a feast – and the conversation was so entertaining that we did not leave the dining room until 10.30pm. On our first evening in Ironbridge we were fortunate to find an empty table at Da Vinci’s cosy little restaurant and so began the weekend with a memorable meal. 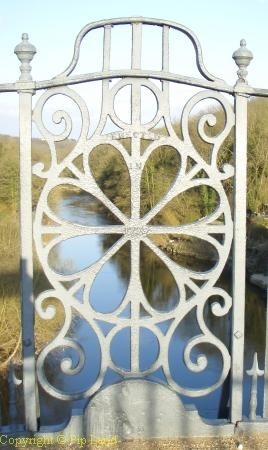 Walking to and from Da Vinci’s we could enjoy very different views of the Iron Bridge, built in 1779, and from which the town gained its present name. From the Foundry Masters House it was easy to visit the many museums in and around Ironbridge and we made good use of our annual passes. 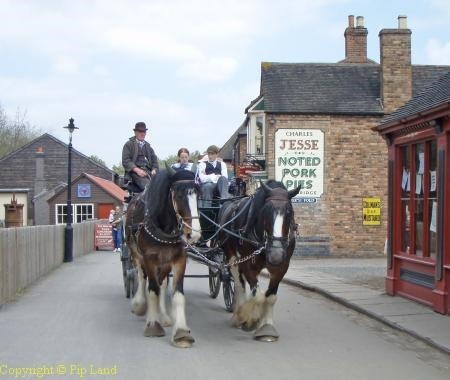 On our first day we visited the Victorian Village at Blists Hill. This had its own special features particularly the use of the old pounds, shillings and pence and the friendly, helpful staff who spoke to all the visitors. 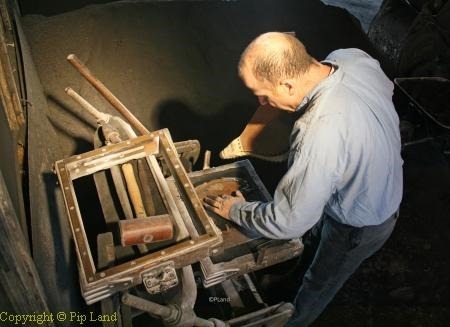 We watched Roger Fewtrell (above) preparing to cast iron figurines, saw children learning about how iron was made in the past, and could see the machinery used to lift a cage-full of miners out of the depths of a coal mine. By lunchtime our nostrils were aquiver with the smell of freshly baked bread and also fish and chips fried in beef dripping . We had enough time that afternoon to also visit the Jackfield Tile Museum. We were filled with wonder at how the Victorians and their successors had produced a seemingly endless array of colourful tiles. I was especially enthralled by the murals created for children’s hospital wards. 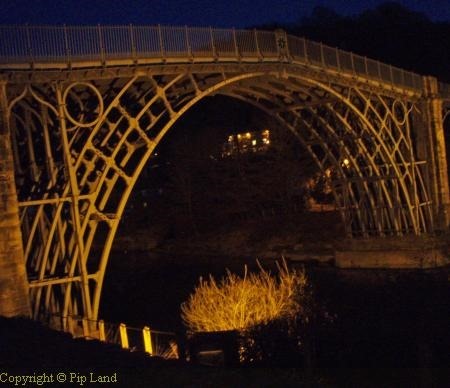 The following day we first visited the Museum of the Gorge to obtain an overview of how Ironbridge (or Coalbrookdale as it was known in the 18th century) had been “the birthplace of the Industrial Revolution”. The 12 metre long model of the Gorge in 1796 is exceptional and so informative. We then went to the Coalbrookdale Museum of Iron and made some surprising discoveries. David, as a Quaker, thought he knew a lot about how the early members of this Society of Friends had influenced the industrial revolution. But he had not realised that the Quaker ironmaster Abraham Darby I had actually helped to start the revolution. 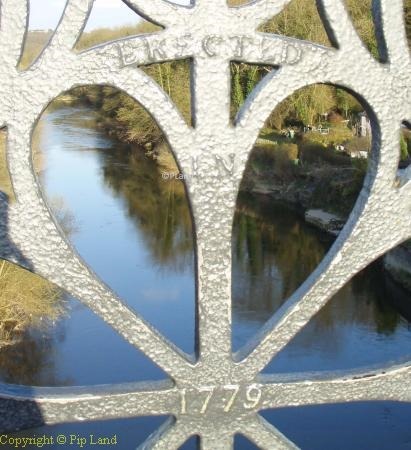 He perfected the technique of smelting iron with coal in Coalbrookdale and his company went on to employ 30,000 – 40,000 people! 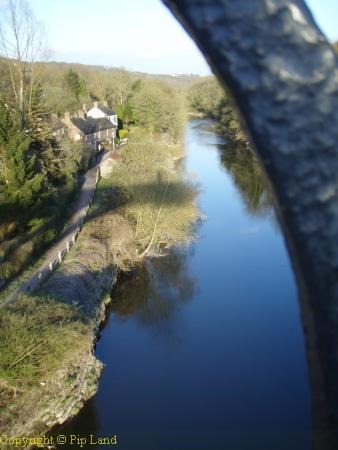 By the late 18th century the gorge was full of smoke and noise as both sides of the River Severn were heavily industrialised. And that’s why Abraham Darby III was keen to have a bridge built to connect those hives of industry. But he, like his grandfather, died young. And for David and I that led to another interesting fact about which little, it seems, is said in either the Museum of Iron or the Darby Houses. There was one small note about Sarah Darby which led to me searching the internet for more information. After two days in Ironbridge David and I were over-filled with so much fascinating information and things to see. 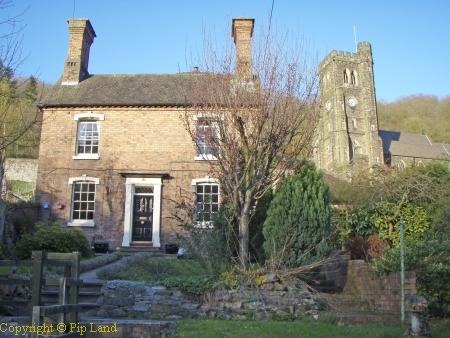 So we will return – not just to Ironbridge but most definitely to the Dawn and Danny’s Foundry Masters House. * M Dawes & N Selwyn Women Who Made Money: Women Partners in British Private Banks 1752-1906, published as an e-book with Trafford Publishing in November 2012. 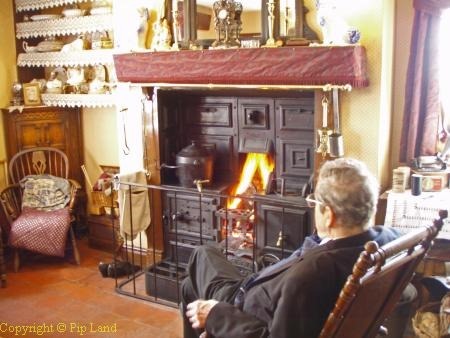 Below: At the Victorian Village – inside the Doctor’s House and visitors enjoying a horse and carriage ride. 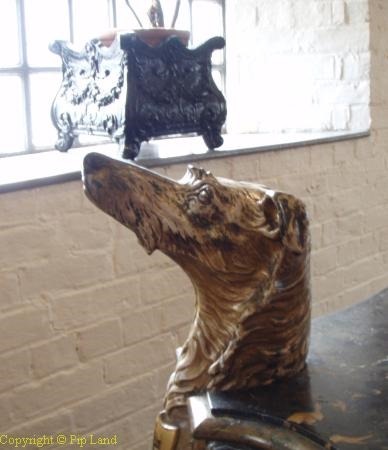 At the Museum of Iron – the head of one of the life-size deerhounds on a 16 cwt cast iron table designed by John Bell for the Paris International Exhibition of 1855. This table is among the remarkable collection of cast iron objects on show at the Museum.The Iron Bridge was also created with cast iron and has withstood many a storm and flood.